Did you ever wonder why so many jan/san businesses use microfiber cloths for cleaning? There are materials already on the market meant for cleaning. Cotton cloths absorb liquid, seem to clean up dirt and debris just fine and can be laundered for multiple uses. Paper toweling also absorbs liquid, picks up dirt, and is disposable and relatively inexpensive. 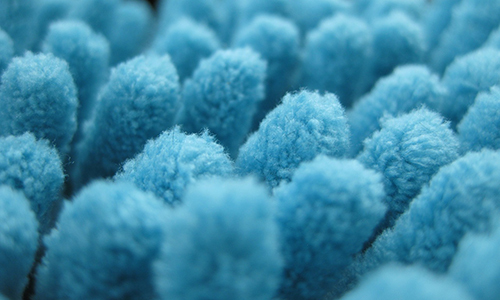 So why use microfiber? 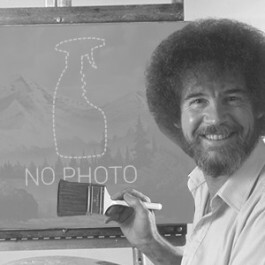 Simply put, it’s just better. Better quality, more efficient, and they will save you money. Microfiber is one of the best things to happen to the jan/san industry since the invention of the vacuum! The microfiber used for cleaning is usually a blend of polyester and nylon with very fine fibers that are split to create very tiny “spaces” that absorb liquids and trap dust and dirt. The little fibers also hold the liquid and debris, not redepositing it back on the surfaces being cleaned. Cotton cloths and paper toweling don’t have these fibers, don’t absorb nearly as much liquid, and actually redeposit dirt and bacteria back onto surfaces while cleaning. This isn’t just gross, it’s inefficient and counter-productive. In comparison to cotton, microfiber can absorb a lot more liquid, up to 8 times its weight in water. This makes a microfiber mop a noticeable improvement to traditional mops. The material will absorb and hold significantly more liquid, meaning fewer trips to the bucket for rinsing and ringing. The traditional wet mopcan be replaced by a smaller and lighter mopping system, making the entire cleaning system easier to use. It’s also a safer alternative because the final surface is a lot drier immediately after cleaning than with traditional mops preventing accidental slips and falls. Microfiber cloth doesn’t just remove the visible dirt, dust and liquids. It is also effective at cleaning the “invisible” debris like germs and bacteria. The specially designed material removes and traps up to 99% of bacteria on surfaces. Compare this to regular rags that only remove about a third as much bacteria. Microfiber is clearly the healthier choice. Microfiber can be easily laundered, usually hundreds and even thousands of times before it needs to be replaced. Compare that to the hundreds of rolls of paper toweling it would take to clean the same amount. Even the better, more expensive paper towels on the market don’t compare to microfiber. Not to mention the amount of garbage these rolls of paper toweling creates, filling up landfills. Though they may cost a little more up-front than ordinary rags, microfiber will last much longer and save you money in the long run (and are better for the environment). There is even a Microfiber Washing Machine that will prolong the life of your microfiber products. This portable machine can be used on-site, and washes up to 6 pounds of microfiber products in about 5 minutes! Microfiber is better for cleaning, healthier, easier on the pocketbook in the long run and even eco-friendly. Please check out our selection of Microfiber Mopping Systems, Dust Mops, Wet Mops, and Microfiber Rags.